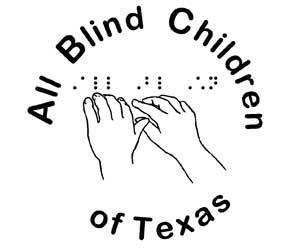 All Blind Children of Texas was created in the spring of 2004 to assess the educational opportunities of blind students in Texas and help provide programs, services and materials that will fill in the gaps in both core and expanded curricular areas. The Board of Trustees of the 501(c)3 organization is comprised of experts in the field of education of the visually impaired, including several who are blind themselves as well as parents of visually impaired children. The Board works closely with the administrative staff of Texas School for the Blind and Visually Impaired, Teachers of the Visually Impaired and Certified Orientation and Mobility Specialists, and Education Service Center VI specialists to support the needs of the 8000 visually impaired Texas students.